Supermoon 2016 Live Streaming: This year will be known for a number of Super Moon. So far, we have seen supermoons starting in October, November, and December. Below is the complete info regarding the date, time, and where to watch (live stream) supermoon. The event occurs when the moon comes closest to Earth while being in its orbit. This is the last super moon trifecta this year which will start on Tuesday, Dec. 13 and reach its peak at 7:05 pm EST (00:05 GMT on December 14). However, it will appear full to the naked eye observer the night before and after the main event. 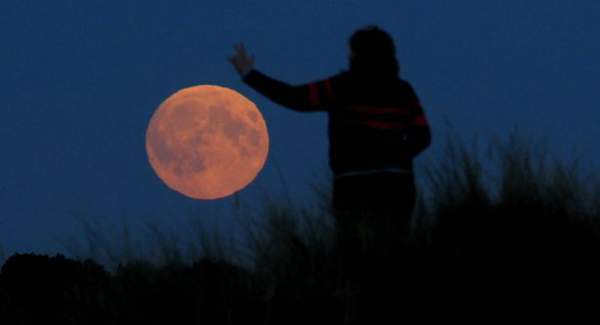 1.1 Supermoon: How It Happens? The Slooh Community Observatory and the online Virtual Telescope Project will host a live stream (webcast) of the live views. The supermoon starts at 11 am EST on December 13. The full moon of December will appear on the same night as of the peak of the Geminid meteor shower. For this reason, the skywatchers won’t be able to enjoy the quality meteor-viewing conditions. NASA stated that the full moonlight would reduce the meteor visibility by five to ten folds. Thus, the skywatchers won’t be able to view even a dozen Geminids per hour. Every month, we get to see a full moon. It happens due to lining up of the sun, Earth, and the moon. The moon comes on the side of the Earth opposite to the Sun. When the full moon arrives at its perigee, then it is known as “supermoon, ” and it is described as the point in the moon’s orbit when it is closest to Earth. At this position, the moon appears 14 percent bigger and 30 percent brighter in the sky as reported by the NASA. The Old Farmer’s Almanac reported that the full moon of December in the Northern Hemisphere is also known as the Full Cold Moon and the Long Nights Moon. It comes next to the full Beaver Moon which occurred in November. It is named such because it is seen at the time of year when Hunters get themselves ready to get enough furs by setting traps. It happens just before the freezing of the waters. The Old Farmer’s Almanac has termed December’s full moon as the full Frost Moon. Slooh will have their new-on-air host for their livestream event of the 2016 Geminid Meteor Shower: Gerard Monteux. Earlier, he used to host at ESPN and NBC Sports. Hope you got enough information regarding Supermoon 2016 Live Streaming. Stay tuned.